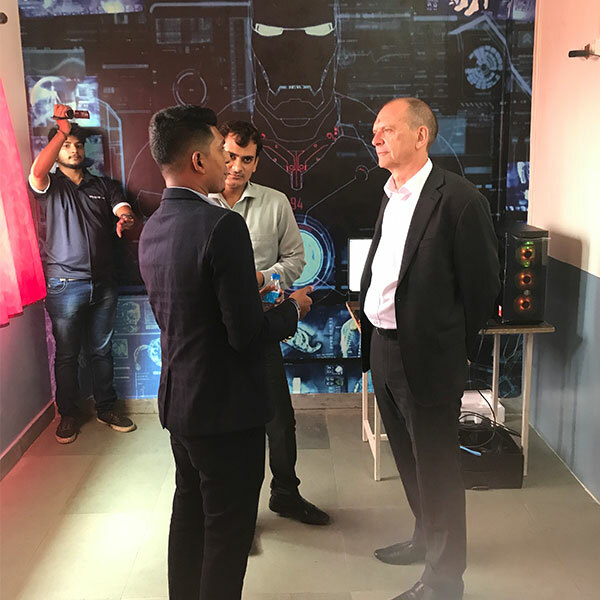 Vice-Chancellor Professor Geoff Layer visited one of the University’s trans-national education (TNE) partners, Rustomjee Academy. During the visit, Professor Layer also met current and prospective students. Rustomjee Academy For Global Careers has been in partnership with the University since October 2017. By being in partnership with the University of Wolverhampton, Rustomjee Academy is able to offer various courses. Once the course is successfully completed, the student will receive a degree from the University of Wolverhampton.